Weekly Roundup: Apple News Plus, Auction duplication, and More! How publishers are grappling with Apple news subscription service? Apple News, with its 90 million regular readers (or more precisely, skimmers) expanded the service with the launch of News plus. News+ is a $9.99 per month service, where you to get access to 300 magazines and newspapers in one place. So far, Apple managed to pull in a couple of premium publishers including The Wall Street Journal, Vox Media, and The New York Media. I’d be delighted to eat my words, but it’s hard to see the Apple News subscription deal working out well for publishers. We all ought to know the pros and cons of News+, as it aims to reconsider the way publishers create, distribute, and monetize. Let’s start with the benefits. Secondly, a set of digital-native publishers believe Apple News+ is a place to test new product and content ideas. Both are valid and can only stand up to an extent. Because not any one publisher can garner new readers or product lovers. Users are essentially signing up for the bundled package and considering that Apple wouldn’t pass any significant data to publishers, relying on News+ seems to be a bad idea. Now, why publishers aren’t willing to put their content on News+? Revenue – Apple will keep half of the revenue it generated using News plus. It simply acts as an aggregator and taking 50 percent cut scared most of the publishers away. Commoditization – Similar to social networks, where content from a premium publisher can appear next to anyone, Apple News plus will dilute the brand identity of a publisher by commoditizing the content. Cannibalization – Many publishers fear that users would rather sign up using Apple News+ version of a magazine than signing up directly. Revenue distribution – Most importantly, the remaining 50 percent of the revenue generated will be apportioned to all the publishers in the bundle based on the “dwell time” – Time spent by a reader on a publisher’s’ content. This, in turn, pushes publishers to modify headlines (to get clicks), rethink their content format (long-form essays, depreciate infographics, etc.) and compete against each other to get as many eyeballs as possible. To be frank, Apple News+ isn’t worth a try for most of the publishers. Even the publishers who are agreed to be on News+ bundle said that they’re trying to test product ideas (not on a long-term plan). Texture, a news-subscription service acquired by Apple helped it to bag hundreds of publishers, mainly due to the long-term agreement publishers had with Texture. Even the Wall Street Journal itself said News+ is too late to the scene and is not the future of News. There’ll be always a discussion about ad viewability. It’s a topic that’s not going to fade away anytime soon. From suggesting a 100 percent viewability standard to bidding only on viewable impressions, buy-side has been quite busy trying to push publishers to strategize ad placements. Recently, Alex North, Head of Marketing Science R&D for EMEA at Facebook argued that the industry is introducing a bias (especially when it comes to mobile devices) with its focus on duration and pixels in view. By assuming, most of the readers skim through the content, both publishers and advertisers are unknowingly paying attention to the skewed audience. 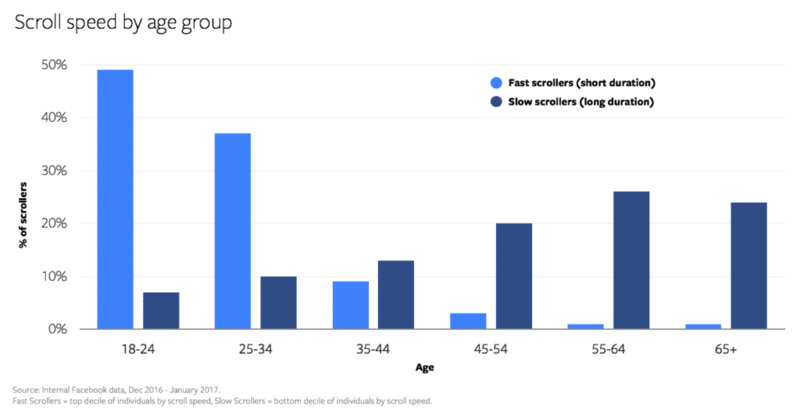 Though the above numbers are from Facebook Newsfeed, publishers can derive inferences by looking at their own scroll speed data. For instance, NYTimes is said to convince an average user to stay for over 5 minutes. This means readers can’t be just skimming the content, at least not all of them. The publisher can use the same data to place distribute ad units strategically. Contrary to popular belief, Alex North said that shorter ad exposures are offering value as well. In fact, according to an Oracle Data Cloud study, ads which were exposed for less than 2 seconds are responsible for 52% of the sales uplift. Also, smaller ads (which can be 100 percent in view easily) shouldn’t be considered better than the larger ads that are 50 to 60 percent in view, without considering all the factors in play. – Nate Woodman, chief data officer at Havas Media. We’ve seen the transparency wave in the ad tech more than once. Agencies have partnered with DSPs and sometimes, ad exchanges to lay a convincing path to supply. For example, Goodway Group inked a deal with PubMatic, wherein the media buyer will ramp up its spending on the PubMatic’s ad exchange for a reduced fee to reach the supply. Similarly, GroupM used AppNexus DSP to cherrypick the exchanges based on ROI and quality of impressions. As per Ad Exchanger’s latest piece, agencies have decided to get rid of the wall separating buy-side and sell-side. 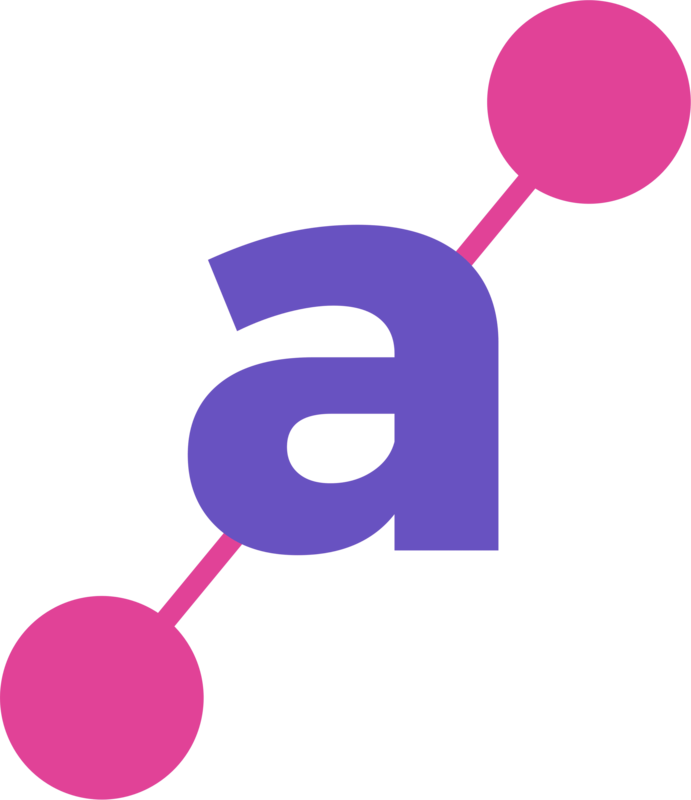 They went past ad exchanges and DSPs to shed light on publisher-side fee, auction dynamics, and log level data. Now, agencies want to know how much ad exchanges and SSPs charge publishers. This, in turn, will help them make the right partnerships. It is indeed true. If you reach a publisher through an exchange which charges 30% rev-share, a $1 bid would be shown as 70 cents. But if you can get to the same publishers through another exchange that charges 10% rev-share, a $1 bid would be 90 cents and a buyer can win the impression without modifying the bid price. On the other hand, publishers tend to add the same exchange more than once and exchanges tend to connect to a publisher through multiple routes. This is because it will increase the chances of winning a bid from a DSP. But with the current state of consolidation and push towards transparency, there’s no point in sending multiple bids for the same impression. Publishers should try to cut down the exchanges and partner with trusted resellers, rather than running with all of them at once. Exchanges should try to reduce the number of paths to reach the same impression. Candid thoughts of Publishers about Social Media, Apple News+, and More. – Digiday. Readers are filtering the ads, not really trying to block them. – The Drum. Unilever vetted publishers to launch ‘Trusted Publisher Network’ – AListDaily. Weekly Roundup: Viewability tags slows the page, Google Chrome Changes, and More.